Chadd Watkins graduated from Southern Adventist University in 2002 with a degree in Physical Education, Health and Wellness. He’s currently working towards a Masters in Leadership. Chadd has served Madison Academy and Highland Academy as Teacher, Coach, Dean, Vice Principal and Principal. Chadd is married to his lovely wife Nikie and they have two boys Carson and Camdon. In his spare time you will see Chadd playing golf, participating in sports, enjoying family, and bird watching. Six word story – Called, then equipped, for the journey. Haroldo Álvarez attended the Adventist University of Colombia in Medellin, graduating with a degree in Music Education. In graduate school, he completed a program in Choral Conducting at California State University at Los Angeles and a Masters of Arts in Teaching with emphasis in Curriculum and Instruction at La Sierra Academy in Riverside, CA. It has been an honor to participate in the life of thousands of young people through music education in Colombia, Venezuela, Brazil, Southern California, and Portland, TN. Haroldo is married to Liana and they have three children, Albany, Lestter and Melodie. The whole family enjoys trying to educate three dogs and a cat without much success. Six word story – Jesus: Master, Savior, Teacher, Friend, Mine. Larry Ashcraft graduated from Georgia Cumberland Academy in 1977, Southern Adventist University with a B.A. Math and Physics, and NCATE Teacher Training in 1981, and Andrews University, M.A.T. Physcis in 1983. He began teaching in Louisville for 2 years, then taught public school in North Carolina for 29 years. He as been a part of the Highland Academy team since 2014. Larry is married to Linda Ashcraft who is a Highland Academy Alumnus. They have two daughters Claire and Amelia. In his spare time, Larry enjoys road bicycling, fixing electrical/electronic/mechanical stuff, and conversing with people about God’s character. Six word story -Jesus, The Father: indistinguishable characters–Wow! Linda was born and raised in Evansville, Indiana, and is a Highland Academy Alumnus. She graduated with an AS in accounting from Southern Missionary College (now Southern Adventist University.) This is her 5th school year at Highland Academy. She lives here in Portland with her husband, Larry and their two daughters. Claire is a 2018 graduate from Highland Academy and Amilia is a freshman here. When she’s not working, Linda enjoys playing with her dog, reading, listening to audiobooks, knitting, and learning to crochet. Six word story – Christian-educated for years, Christian for life. Christen Case graduated from Highland Academy in 2009 and attended Southern Adventist University to obtain two degrees, one in mathematics and one in chemistry. She also completed a master’s degree in mathematics at the University of Louisville in Louisville, Kentucky. She has taught one year at both Madison and Highland Academies, and looks forward to many more years in Adventist education. When she’s not in the classroom , she enjoys gardening, reading, and singing at the top of her lungs! Six word story – Best childhood, coming back for more. Amy Cirigliano serves as a staff member in the areas of marketing, recruitment, fundraising, and alumni relations. Amy has a Masters of Divinity from Andrews University and a BA in Public Relations from Southern Adventist University. Prior to joining Highland Academy, Amy has been a pastor, taught academy Bible class, and worked in the marketing field. Amy is married to Joe and they have three children: Sophia, Joey, and Sara. Her hobbies are family, decorating, cooking, and watching the news. Six word story – God has a plan for you! Diana Drusky has 14 years of experience as Administrative Assistant and Yearbook Advisor. Two years at Highland Academy and twelve years at Highland Elementary. Her husband, Roy (Twig) Drusky lll is a Highland Academy Alumnus. Twig and Diana have two children Roy and Emmylou. They both graduated from Highland Academy and Southern Adventist University. In her spare time, Diana enjoys reading, walking, sewing, and having friends and family over for Friday night dinner. Six word story – Amazing God, wonderful family, much love. Ken received a BA with honors in English from Andrews University in 1975 and an MAEd in the Diverse Learner from the University of Phoenix in 1995. He has professional certification from the SDA church in both English and History. In the past 40+ years of teaching he has taught all grades from 1st grade through college freshmen, all levels from at risk and special education to advance placement, and in schools as diverse as one room with eight students to a large, public high school with over 1500 where he taught over 100 students per day. His favorite place to be is his classroom, but when not there he enjoys his vegetable garden and flower beds. He reads himself to sleep almost every night. He and his wife Sue both enjoy history and always find the Junior History Tour fascinating and inspiring. Six word story – Lonely. Frightened. School became my salvation. Sue graduated from Rockford High School in Rockford, Michigan in 1970, winning every award possible in the home economics courses she took every year in grades 7-12. She loves to cook, bake, sew, quilt, cross-stitch and embroider – mostly inspired by her paternal grandmother, though she has additionally taught herself several crafts over the years, including basketry and soap-making, among others. Sue lives for home, her children and her 21 grandchildren and one great-grandchild. It is no wonder that Mama Sue makes breakfast every morning Monday-Friday in HA’s cafeteria. She is well known among the student body for the treats she often bakes, the most loved being her cake pops. Having grown up on her grandparents’ farm, it is not surprising that she is the inspiration behind the gardens her husband loves as well. Six word story – Cooking and Crafts, Homemaker. Heavenly inspiration. Peggy graduated from Southern Adventist University in 1976. She spent the next 30 years teaching and doing camp ministries. Because of her love for learning , people, and service, she completed a Master of Arts in Professional Counseling in 2013. Peggy has two grown children and two grandchildren. When she is not at school she enjoys reading, crafts, and gardening. Six word story – Forever learning to teach for eternity. Robert Hillebert received a Bachelors in Business Administration from Andrews University. Bob spent a year at Holbrook Indian School in Arizona as a task force worker in the business office. He then began a 2 year business internship with the Lake Union Conference. At the end of the internship he accepted a call to be Assistant Treasurer at Illinois Conference. Before coming to Highland he served a combined 14 years as Assistant and Associate Treasurer at Illinois and Wisconsin Conferences. He is married to his wonderful wife Sarah. They have two awesome boys Tyler and Nathan. His hobbies are boating, camping, hiking, animals, and wood working. Six word story – God’s not finished with me yet. Sarah Hillebert RN, has completed her second year as Head Dean of Women at Highland Academy. 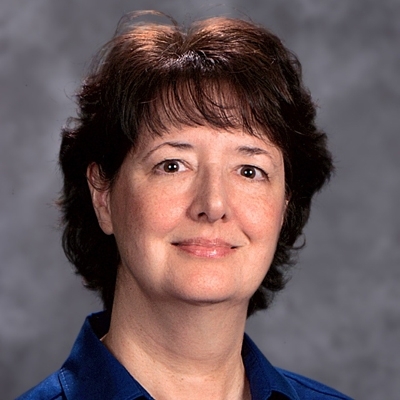 Prior to Highland, Mrs. Hillebert worked for two years at Wisconsin Academy as Head Dean of Women and School Nurse. A graduate from Lake Michigan College, Mrs. Hillebert is a Registered Nurse specializing in Women’s Health and School Nursing. Mrs. Hillebert has completed 2.5 years of course work toward a degree in Elementary Education and Psychology. Prior to her nursing degree, Mrs. Hillebert spent three years working in the field of education as a task force teacher. She taught 3rd, 5th, and 7th graders in a one room school in Stewardson, Illinois; taught 5th grade Home Study International to two special needs students in Scotland, UK; and was a paraprofessional working with 2nd and 3rd grade special education students at Martin Luther King public school in South Bend, Indiana. Mrs. Hillebert has been married to Robert Hillebert scince 2001 and has two children, Tyler and Nathan. Tyler will be an incoming freshman at Highland Academy and Nathan is in 6th grade at Highland Elementary. In her free time, you will find Mrs. Hillebert hanging out with the youth, working in her flower garden, helping with Pathfinders, reading, exercising, singing, or playing her clarinet. Six word story – Education’s purpose is “taking to give”. Michelle went to Southern Adventist University where she graduated with her nursing degree. She has 25 years of nursing experience with a focus in Adolescent psychology, Adult physchology, and Home Health. Michelle has currently been the Highland school nurse for the last 8 years. She is married to Christopher and they have three wonderful children who all attended Highland Academy. Macy is currently taking nursing at Kettering College, Chadwick is taking nursing at SAU, and Corbin is serving as a Army Medic in Alaska. Her hobbies are photography, exercising, animals, cooking/entertaining, and praying. Six word story – Talk less, pray more, breath easy. Ryan Irwin went to Southern Adventist University for his undergraduate and graduated with a major in Physical, Education and Wellness, with a minor in Religion. He attended Southwestern Adventist University to get his NAD Teaching Certification from the Southwestern Conference. In 2015 graduated from Liberty University with a Masters of Education in Teaching and Learning. Ryan has taught at various schools across the country and world, Texas, Ohio, Oregon, Tennessee, and Thailand. I have been at Highland Academy for three years as PE/Health Teacher, Asst. Dean, Intramural Director and Gymnix Head Coach. I am married to Benjawan “Nok” Irwin and we have two daughters Evelyn and Erica. I really enjoy reading, watching informational videos, and playing sports in my free time. My family and friends are what bring the most joy to my life! Working at Highland Academy has been a great way to grow my circle of friends and family. Six word story – Building futures, Growing relationships, Preparing minds. After serving the Lord in pastoral ministry for the past 11 years, Will Labrenz is excited to now serve chaplain/Bible teacher at Highland Academy. Will has a passion for encouraging young people to follow Jesus. Will’s family includes his wife Christy, and children: Ethan, Bailey, and Elijah. MAPMIN (masters in pastoral ministry) from Andrews University. Hobbies include playing guitar, impersonating Elvis, hiking, and the joys of cayenne pepper. I am a grateful alumnus of Highland Academy’s Class of 2002. From here I attended Union College for 4 years, plus one year of student missions. During the year of student missions I taught English in the Galapagos Islands of Ecuador, while also learning to speak Spanish. I graduated with a Bachelors of Science degree in secondary mathematics education and a minor in religion. My first job was teaching 6th – 8th grade math at Spencerville Adventist Academy in Maryland. Our first daughter was born at the end of that year and I transitioned to working as a adjunct instructor at Howard Community College in Columbia, Maryland. I taught there for three years until my family moved to Indiana. In Indianapolis I taught at Christel House Dors, a program for adults seeking to earn a high school diploma. When our third child was born in 2011 I began working as a stay-at-home mom and childcare provider, and continued for the next 4 years. In 2017 I returned home to Highland Academy to teach, mentor, support and in general “love on” the amazing students here. I have been married to Antonio Lopez for 11 years and we have four children, Corinthia, Levi, Malachi, and Lucia. As a family we enjoy serving our church, hiking, canoeing, gardening, and watching Steeler football. My personal hobbies include reading biographies and sewing. Six word story – I teach to repay the investment. Daniel Palma has a Bachelor of Science degree in Civil Engineering from Cebu Institute of Technology University, Cebu City, Philippines. His work experience includes; Project Engineer/Manager – ADRA Philippines, classroom teaching and educational administrative support for 16 years. This is his 5th school year at Highland Academy. Daniel is married to his lovely wife Maddie, and they have three children, Kaitlin, Russell, and Imari-Ashley. In his spare time Daniel enjoys arts, crafts, and web design. Six word story – Learn, Enjoy, and travel the world. Roger Schmidt is the lead pastor of the Highland Seventh-day Adventist Church. Before answering the call to full-time pastoral ministry, he served as a teacher at both Madison Academy and Mt. Pisgah Academy. After returning to school to study for the ministry, he served 5 years in the Gulf States Conference as pastor of the Bass Academy Church which included teaching Bible at the academy. His wife, Latonia, and two children, Sam and Madison, moved to the Kentucky-Tennessee Conference in 2005 to pastor the Jackson/Leach district. In 2010 he was able to once again blend his teaching and pastoral ministries by moving to Highland. He earned his undergraduate degrees in History and Theology as well as his Masters of Religion from Southern Adventist University. Pastor Roger’s favorite hobbies are backpacking, kayaking, and motorcycling. Six word story – Church schools led me to Jesus. Verne Sherman has been in teaching for a total of 38 years; 36 of those being in Christian education, has earned both a BS (elem ed/general science), and an MA (educational administration and supervision) from Andrews University. He still enjoys teaching because there are still students with whom he can connect and spark an interest in learning. I enjoy (most of) the non-teaching components of my job because there is such a wide variety of things coming across my desk. I began working at Highland in 2010, the same year that my son, Tom, and daughter, Molly, began their freshman year here. They graduated as part of the HA Class of 2014. My wife, Sandy, is active in the Highland Church. Zoe, our dog, tries hard to catch any stray snack or nap that wanders by. I have many, many, interests; however, some of them have been pushed to the back burner by a shortage of free time and/or a surplus of birthdays. I still actively enjoy camping and fishing. Six word story – Loved daughter of God. Always learning! Andy Wade, an alum of Highland, graduated from Southern Adventist University with a B.S. degree in Physical Education Health and Wellness in 2005, followed by a Masters degree in Outdoor Teacher Education in 2010. He has worked at Highland Academy since 2005 and has enjoyed using his talents in many different areas and avenues over the years. Andy married his wife, Bekki, in the spring of 2006, and they have three beautiful daughters: Tessa, Ellisen, and Annie. In his free time he enjoys outdoor adventures, disc golf, and introducing people to the beauty and lessons of nature. Six word story – Giving so that others may LIVE. Anita was born and raised in Ohio, graduated from Mr. Vernon Academy and attended Andrews University. She and her husband John have 2 sons, Jason and Chadd, and 4 grandsons. Anita started working at Highland Academy in 2000, 3 years in the business office and 15 years as Food Service Director. She has been in food service and office management most of her career. She enjoys playing the piano, scrapbooking, swimming and cooking. Six word story – His grace is sufficient for me. Melissa McCoy-Weisner, a graduate of Highland Academy, graduated from University of Phoenix with her English Degree. While volunteering as a youth leader, she received her Masters Degree in Human Services with an emphasis in working with teens and family from Liberty University. She is currently finishing her Masters in Education from Union University with an expected graduation date of December, 2018. Melissa has served as a youth leader at Oasis Seventh Day Adventist Church and a teacher in Robertson County Tennessee prior to serving at Highland Academy. Melissa is married to what she refers to as a rock and spiritual leader, Vaughn Weisner, also an educator in Robertson County. They love kids and have extended their family to include a total of 5 kids with 2 left at home; one attending Highland Academy and one still in elementary school. In her spare time, Melissa is singing and speaking about her other passion which is prayer. She makes sure to cut out time in her schedule to “fill up the love cups” of her family and spend time out in nature. Six word story—I’m a new creature in Christ! Six word story – A Guide To Our Heavenly Home.